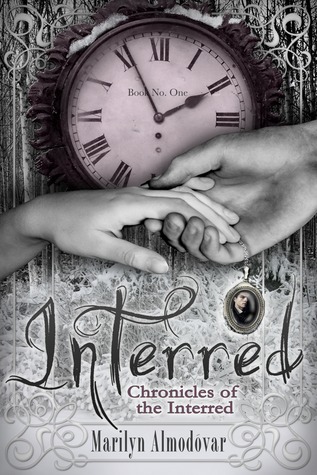 Welcome to my stop on the Interred Blog Tour hosted by YA Bound! Click HERE to check out the rest of the tour schedule! Baxter has always been a pretty normal girl by all accounts, but as her sixteenth birthday approaches, being normal begins to become quite hard to do. Readers will love Baxter at first sight. She is a girl who takes things in stride and never shrinks from a challenge. Those are qualities that she must rely on countless times as revelation after revelation is thrown her way about who she is, who her mother and father are, and what she is expected to do. Add to that the two hot guys that are promising to protect her throughout her ordeal, and the fact that she has to choose to trust one as she fights to come in to her powers and stay alive. This is a great magical read in the absence of such books. There is so much backstory and history with Baxter's family and their dealings with the council, that the story of what is going on with Baxter and her predicaments in the present is never allowed to become stale. This backstory also allows for parental involvement in the story; a component so often lacking in YA. Another great aspect of this read is the love triangle of sorts that Baxter finds herself in. I mean, a magical hottie stuck in a time loop versus his equally magical and equally hot guardian relative. The really interesting factor in her paradox over the two choices is that there is no true "white knight"
in the situation. Each boy comes with his own issues. This is a great book, and the time spent reading it does fly by. I can't wait for the next book. Thanks for being a part of the INTERRED tour! I enjoyed your review of Interred. Thanks for sharing!